If you’ve yet to jump into the Starpoint Gemini series, then Starpoint Gemini Warlords isn’t a terrible place to start. It follows the idea of the main games in the series, seeing gameplay taking on the 4X strategy approach – explore, expand, exploit, and exterminate – with heavy RPG elements found throughout… and for the most part it’s simply more of what fans of the series have come to love. 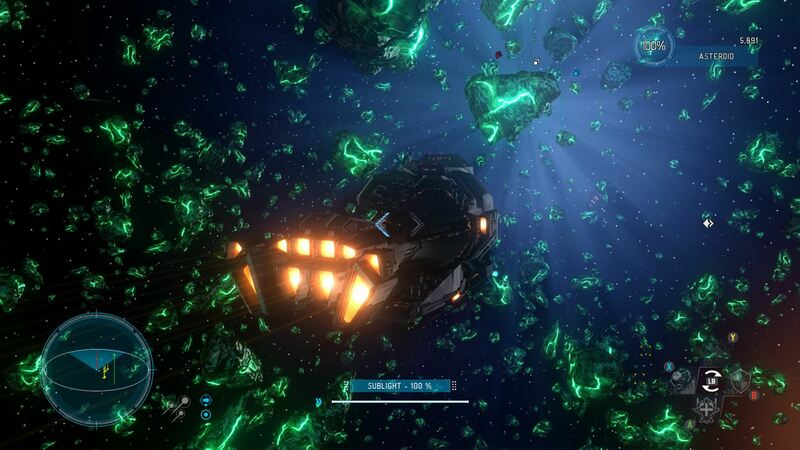 It may not be a numbered sequel, but when many of the ideas that were put forward by fans of the series for Starpoint Gemini 2 missed out on a place in its final release, the guys over at Little Green Men Games decided to go forward with a spinoff. 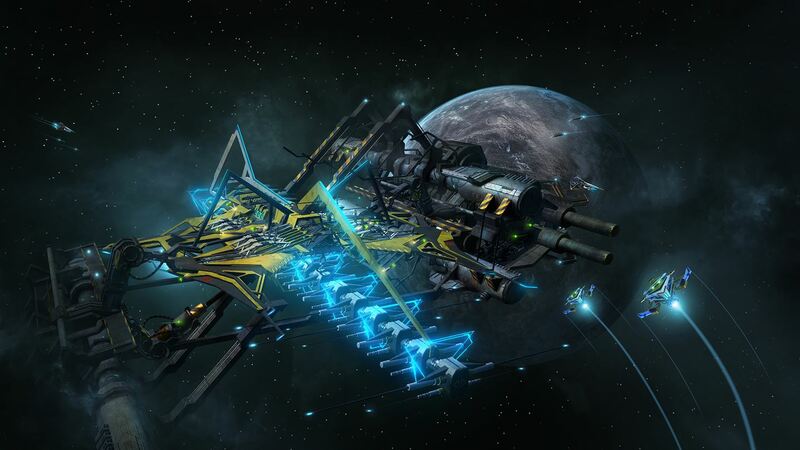 Starpoint Gemini Warlords is the spinoff in question and with it being developed around those same ideas put forward by the community, it’s fair to say Little Green Men Games have their heart in the right place. 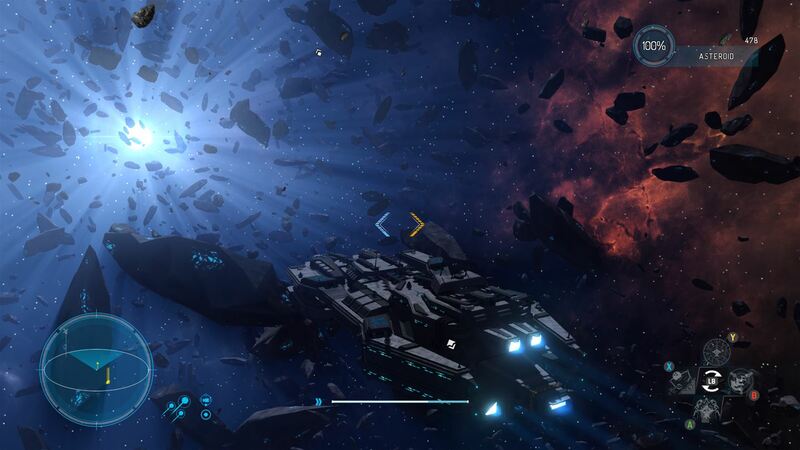 But is Starpoint Gemini Warlords the game fans were expecting? The overall premise is fairly simple. Your job is to build yourself a worthy war fleet, before sending or leading it into battle. With each fight won you’ll move closer to the ultimate goal of becoming a fearsome Warlord. If all goes well, you’ll conquer the Gemini system. As someone who only has a very basic skill level when it comes to in-depth strategy games, it’s fair to say I didn’t get even remotely close to becoming the fearmongering Warlord of the Gemini system, but that doesn’t mean that it would be out of reach for fans of the series. If you’re a newcomer though, this may not be the best place to start. That said, Starpoint Gemini Warlords isn’t a bad game – at least not entirely. It has plenty of content, a vast system map to uncover and explore, and, should you know what you’re doing, then the platform is there to easily sink away countless hours as you look to become a true force amongst the stars. For newcomers though it’s not such a welcoming experience. The overall goal tasks players with expanding and growing their fleet across the many sectors of the Gemini system until you’re able to take total control. There are a couple of different options to get you going and from the main menu, players can either jump straight into the campaign offering or set about one of the five freeroam scenario options available. The story focuses on a group of exiles who have escaped an alien invasion of the Sol system, settling on the barren planet of Phaeneros on the outskirts of Gemini. They have let go of all traces of the old Imperial regime, and in a bid to avoid becoming a new incarnation of the loathed empire, set out to secure the borders of their new home as the new faction, Solari Concord. At least, that’s what I got from my time with the campaign. 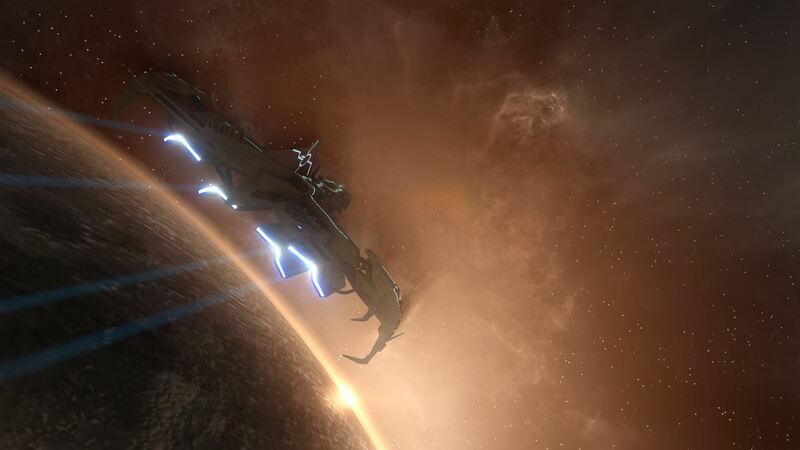 To be quite honest though, with the storyline failing to provide any real excitement or memorable moments, and pointless missions sending you from A-to-B or off grinding for resources, it doesn’t take long to feel like there’s a real missed opportunity going on with Starpoint Gemini Warlords. For example, my first few missions saw me doing nothing more than sending my ship to set locations, deploying troops and then repeating a similar process the mission after. What’s worse is that with the majority of actions being made via the way of bland menus and simple button presses, things can quickly feel like a grind of boring, rather pointless, activities. There is the option to actually take flight of your ship yourself rather than direct it to each location, if you want to change things from being a purely strategy based, but with the missions themselves failing to bring any real engagement, and with nothing to entice players to continue, the Campaign is quite easily the quickest way to be put off the game. Should you look to the freeroam scenarios though, Starpoint Gemini Warlords quickly changes from a rather dull game to something that will start to pique your interest, with each one bringing a slightly different scenario in terms of money and starting level. In freeroam, the shocking story is no longer present, meaning players aren’t tied to bare and basic objectives. You start with a HQ that can be upgraded, and, dependant on the scenario chosen, a number of ships with a set amount of resources. From there, you can carve your own goals, choose your own missions and play your preferred way. For me, it was all about trying to earn money by salvaging parts from destroyed ships, but with jobs also including mercenary work, trading, and becoming a full-blown space pirate, there’s plenty of variety available. Ultimately, the main goal is still the same – you’re still looking to become the ultimate Warlord within the system – but how you get there is entirely up to you. Unfortunately, performance wise, Warlords could do a lot better. With excessive draw distances and occasional stuttering throughout, it’s not the most seamless and fluid strategy game on the market, and with that said, it’s not the most obvious strategy game either. Something that often came to my attention throughout my time with Starpoint Gemini Warlords was that it’s not always clear just what the game is supposed to be. There are clear signs of strategy elements everywhere, but with the camera never really sitting in a position that feels very strategic, and the fact that you can either control your ship manually, or direct it through menus, it often feels like the developers have tried to hard to mix two very different genres together, coming up with something that instead lacks any real identity. For fans of the Starpoint Gemini series, Starpoint Gemini Warlords is likely to prove an enjoyable spinoff, but for newcomers it really isn’t the most welcoming experience. With a lack of identity often causing confusion about what the game is even trying to achieve, and an utterly disappointing campaign experience, there isn’t much to go on if you want an enjoyable and in-depth story adventure. On the other hand, if you’re a fan of games that allow you to create your own experiences and have the time spare to plunge hours away into the freeroam mode options, then this is something that could prove highly enjoyable. Is it a terrible game? Of course not, and with it being developed around fan requests, you have to commend Little Green Men Games for making it a reality… but unless you’re already a big fan of the series, this is unlikely to be something you’ll find yourself going back to time and again. After 20 years of playing every game I can get my hands on, I can now be found selling my soul for anything Resident Evil, Gears of War, or Gamerscore related... all of which will be mastered after a good cuppa!